Thinking about the possibility that you might one day lose your ability to speak, communicate, or make decisions is not exactly a pleasant idea. Nevertheless, it’s something that every responsible adult should do. Taking the time to create an incapacity plan is the only way to be completely sure that, should something happen to you, you and your family will be protected. Would your doctors know the kind of care and treatment you want to receive if you fall into a coma tomorrow? If you suffer from a terminal illness, do you want to refuse receiving life-sustaining or heroic measures? Do you have personal, ethical, or religious concerns about receiving certain types of medical treatments? If you don’t have an incapacity plan, you have no way of guaranteeing that your medical choices and wishes will be followed should you lose your ability to communicate. In the state of New York, people have several ways in which they can protect their medical decisions. As long as you make choices in a legally recognized manner, your healthcare providers will be obligated to only provide the kind of care you want to receive. If you become incapacitated, who will take care of your day-to-day affairs? Who will pay your mortgage, your bills, and look after your investments? Will someone be able to make decisions on your behalf that your bank or other financial institutions will respect? Dealing with the practical and financial concerns that arise out of incapacitation is another vital aspect of developing an incapacity plan. By creating the appropriate tools, you will not only be able to answer various financial questions in as much detail as you like, but you’ll also be able to name representatives who can step in to make decisions on your behalf, and manage your affairs while you are unable. None of us have a crystal ball that will allow us to see what the future holds for ourselves or our family. Though we like to think that we will be able to maintain our health in the future, there is a distinct possibility that the opposite will happen, and that you or a close loved one will one day become incapacitated. If you are a responsible adult you will take it upon yourself to create an incapacity plan as soon as possible. Proceeding without a plan is a potential recipe for disaster. Not only can it harm you, but it can also lead to significant problems for your family. 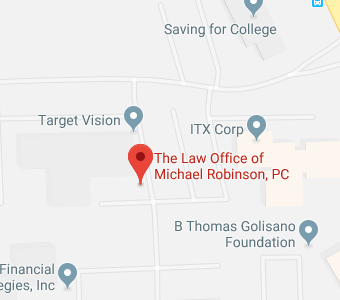 If you haven’t already done so, you should contact the Law Office of Michael Robinson as soon as possible so we can help you get started on the incapacity planning process. The sooner you begin incapacity planning in Rochester, New York, the sooner you will be able to rest assured that you have done everything you can to protect yourself and your loved ones.